Family and friends who have lost loved ones to OxyContin and opioid overdoses leave pill bottles in protest outside the headquarters of Purdue Pharma, which is owned by the Sackler family, in Stamford, Conn. A new filing in a Massachusetts case ramps up the legal and financial pressure against the Sackler family, which owns the company that makes OxyContin. A sign with the Sackler name is displayed at the Metropolitan Museum of Art in New York. 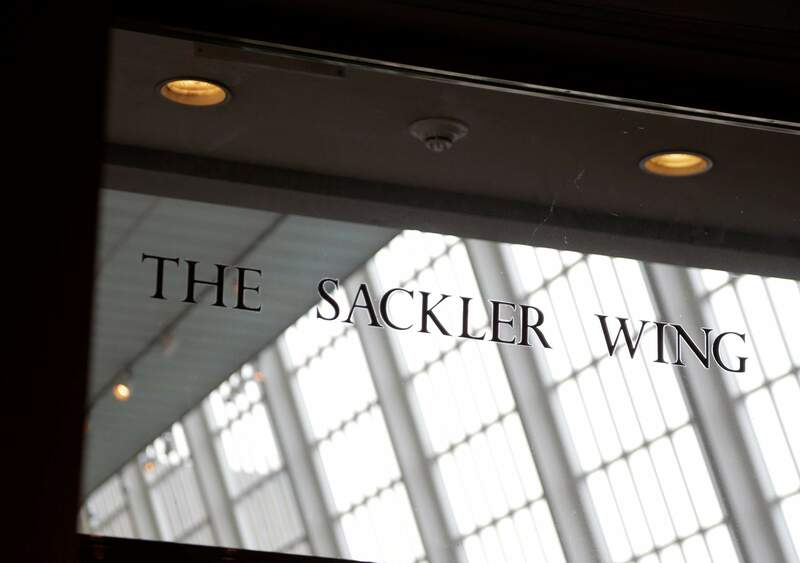 The Sackler name adorns walls at some of the world’s top museums and universities, including the Met, the Guggenheim and Harvard. 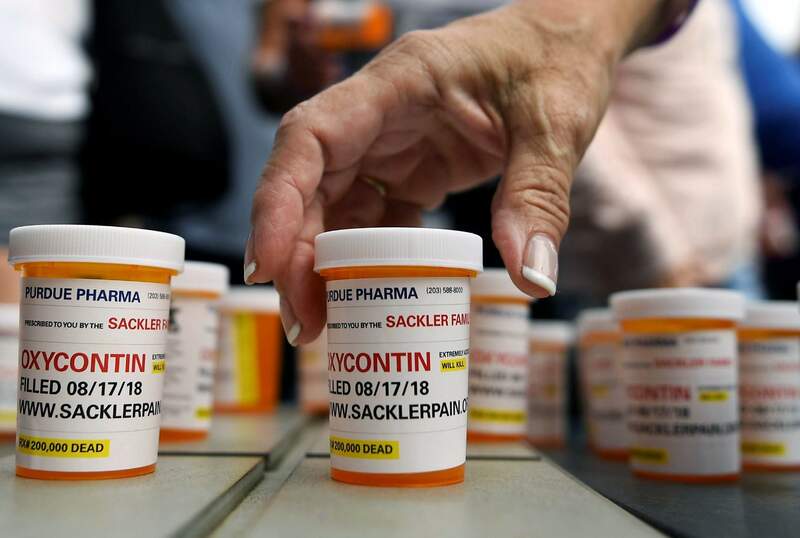 But the family’s ties to the powerful painkiller OxyContin and the drug’s role in the nation’s deadly opioid crisis are bringing a new kind of attention to the Sacklers and their philanthropic legacy. But Paul Hanly, a lawyer representing the county, said he expects to add the Sacklers to other opioid lawsuits. He explained last year that he was targeting the family, known for its donations to some of the world’s great museums and universities, in part because they took “tens of billions” of dollars out of Purdue Pharma. The company documents at the heart of the Massachusetts claims also could be evidence in the Ohio lawsuits, which are being overseen by a federal judge. The allegations ramp up pressure on the industry – and perhaps the Sacklers – to reach a settlement, said Paul Nolette, a political science professor at Marquette University who studies the role of state attorneys general. The Cleveland-based judge, Dan Polster, has been pushing for a settlement since he took over the federal cases a year ago, arguing that the parties involved should find ways to end this human-made crisis, rather than hold years of trials. A court order prohibits participants from discussing most aspects of settlement talks publicly. Many of the attorney general’s specific allegations – based on company documents – were blacked out at the request of Purdue and the Sackler family. The state recently filed a new version of its complaint that made public many of their allegations for the first time.